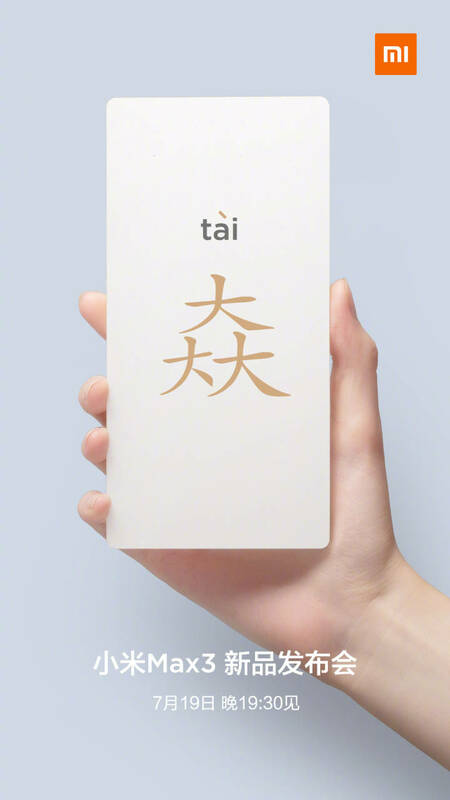 The third generation of Xiaomi's large screen, large battery smartphone is coming soon. 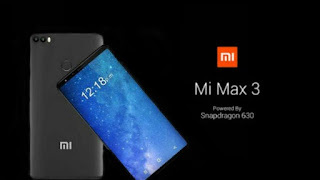 The upcoming phablet which is called the Mi Max 3 is the successor to Xiaomi's Mi Max 2 which was launched about a year ago. 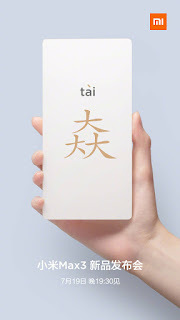 After much speculations and rumoured dates, Xiaomi has taken to its official Weibo account which is one of China's social media platforms to announce the official launch date of the Mi Max 3. Going by the specs which already popped up on TENAA. The Mi Max 3 will be powered by Snapdragon 636 coupled with a 6GB RAM while the more expensive Mi Max 3 Pro will be powered by a much more powerful Snapdragon 710 chipset with a 6GB RAM and a massive 128GB internal storage. Both the Mi Max 3 and the Mi Max 3 Pro will sport a 6.9-inch Full HD+ IPS display with 1080 x 2160 resolution and an 18:9 aspect ratio. Unlike last year's Mi Max 2, the new Mi Max 3 won't feature any physical button on the front and the fingerprint scanner will still remain at the back. In terms of camera, the Max 3 will come with a dual rear camera setup with 12 MP main sensor and a secondary 8 MP sensor, while the front facing camera will come with a 5 MP sensor. Mi Max 3 will likely arrive with MIUI 9.5 out of the box, based on Android 8.1 Oreo. It will also come with a massive 5,400mAh battery. The device will be available in at least three different RAM and storage options. The starting price is expected to be around CNY1,699 which is about $250 or €220.